It is well known that women are born with a finite number of eggs, and that this number steadily declines as women age. It is also true that egg quality diminishes with age, and even young women can have suboptimal egg health. Poor egg quality can lead to fertility issues by making it difficult for sperm to fertilize the egg, causing problems with implantation, and increasing the frequency of miscarriage. While there is no way to increase the number of eggs that a woman has, it is possible to improve the quality of her eggs. 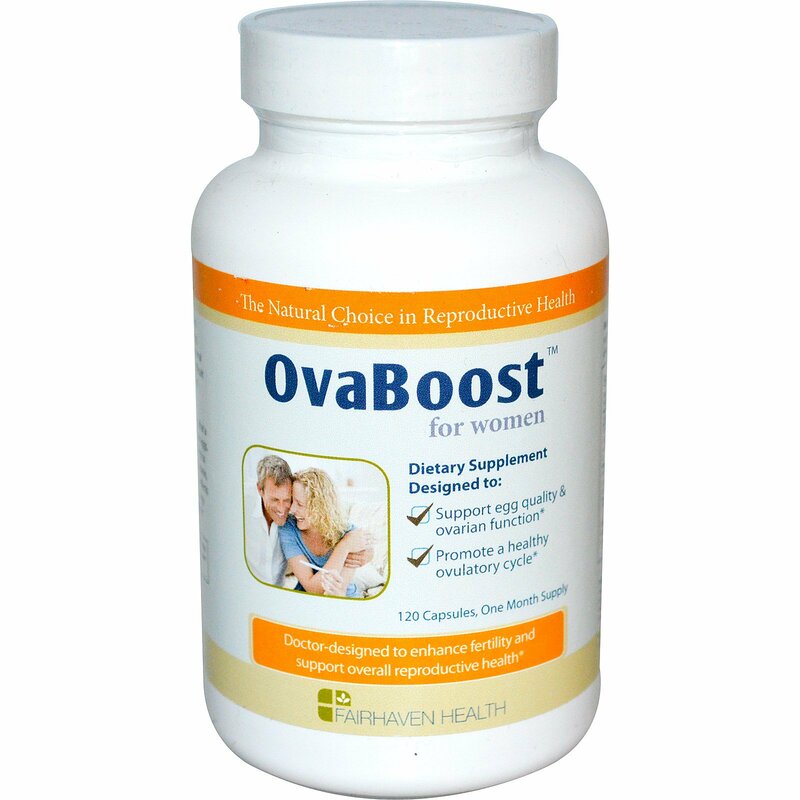 OvaBoost was formulated by a team of medical experts to include key ingredients, including myo-inositol, melatonin, and CoQ10, to protect egg cells from the damaging effects of free radicals and to help egg cells produce the energy they need for successful conception and implantation. 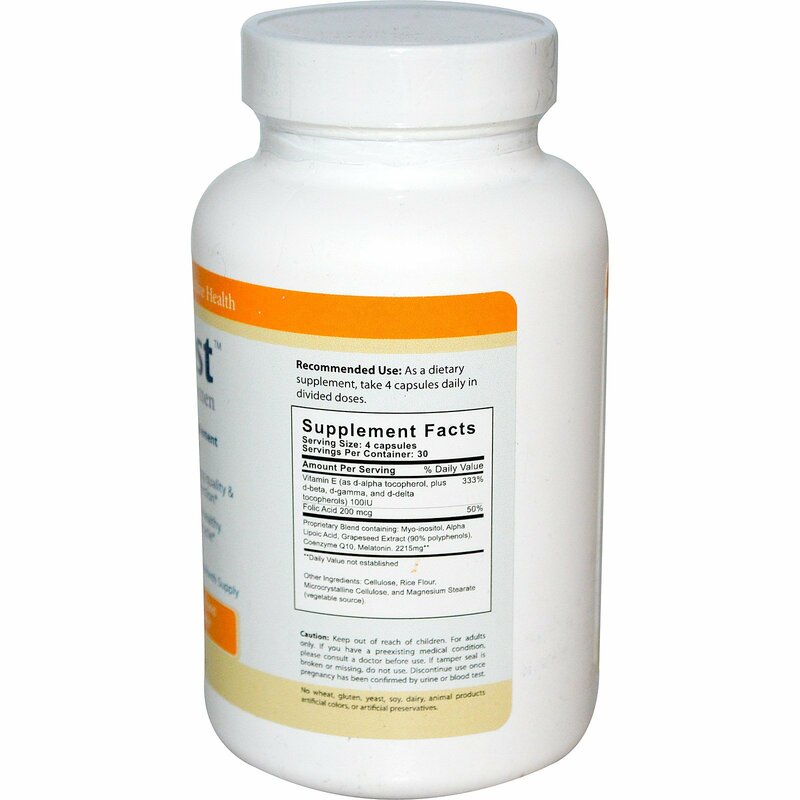 Recommended Use: As a dietary supplement, take 4 capsules daily in divided doses. Cellulose, rice flour, microcrystalline cellulose, and magnesium stearate (vegetable source). No wheat, gluten, yeast, soy, dairy, animal products, artificial colors, or artificial preservatives. Caution: Keep out of reach of children. For adults only. If you have a preexisting medical condition, please consult a doctor before use. If tamper seal is broken or missing, do not use. Discontinue use once pregnancy has been confirmed by urine or blood test.